Custom exfoliation designed specifically for the results your skin needs. Alvarado Skin Experts will individualize this medium to deep level peel to correct and improve your skin, producing an even skin tone, diminished pores and a clear, bright complexion. 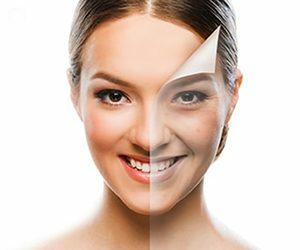 A high intensity peel that treats stubborn pigment problems extremely effectively. Ideal for hyperpigmentation, melasma and sun damage. Dry, dehydrated and normal skin types benefit from this gentle exfoliation formulation. Combine with your Alvarado Skin Treatment for improved results. This manual exfoliation combines light buffing of the skin with a mild suction process which increases cellular turnover, resulting in a smooth, refreshed and renewed skin, optimal prior to adjunct skin therapies. Glycolic exfoliation takes Microdermabrasion to the next level. Noticeable improvements with the first treatment. Refine, renew and refresh tired and dull skin immediately. Naturally derived enzymes gently digest dead skin cells to increase circulation, soften fine lines and nourish skin cells as an ideal alternative to chemically sensitive skins. Delicately exfoliates skin while simultaneously removing superficial blonde and gray facial hair. Can be added on prior to any service.